The alternative finance market is booming, but it seems many FDs are behind the times. 83% of FDs said they would turn to their bank for a loan ahead of accessing invoice finance. This stat comes from the ‘View from the Top’ study last year by finance recruiters Tindall Perry. If the results are to be believed, then 8 in 10 businesses are missing a trick. Evidence shows that businesses who opt for alternative finance to fund growth are expanding more rapidly than those who don’t. London School of Economics analysed high growth SMEs to establish what made them able to realise their potential, whilst other SMEs of seemingly similar potential fell short. The key seemed to be that these firms overcame a reluctance or an inability to borrow by accessing alternative finance, therefore stimulating growth. Accessing lending has always been a challenge for SMEs and startups, and traditional lenders still seem to be pulling away from what they perceive as high-risk unsecured lending, leaving many small businesses without a proverbial safety net in the face of cash flow issues. The word ‘uncertainty’ isn’t going to be exiting the political or economic stage any time soon. Whichever side of the fence you happen to be standing when it comes to the ‘B’ word, we can’t escape the fact that there is some negative economic impact of political uncertainty, even if it is short term. Small businesses are vulnerable in uncertain economic climates because they lack the financial buffer enjoyed by larger corporations. In addition, they lack the borrowing power, and when the banks clamp down on lending they are the first to be turned away. SMEs, family businesses and startups often have difficulties accessing business finance. With a lack of assets that can be put up as collateral, unsecured loans are often the only option available, and they come at a price – with hidden costs and ramifications too. Unsecured business loans can be expensive as with the perception of high risk comes high interest rates, and although businesses in need may be willing to accept this price with a ‘speculate to accumulate’ mentality, the time taken to secure these loans can be the most suffocating aspect of arranging finance. Endless checks and lengthy decision-making may be a result of responsible lending practises by the banks, but the time taken to secure an unsecured business loan can amount to cash flow disturbances or missed opportunities. Equally many lenders have a cap on what they are prepared to lend without “Bricks and Mortar” security and if a potential borrower starts to shop around there are implications for future creditworthiness- multiple applications for credit can adversely affect a business’ credit score, particularly when they are denied. Yet, returning to the Tindall Perry report statistic, 8 in 10 FDs would consider Bank Loans as their best option. Something just doesn’t add up, does it? 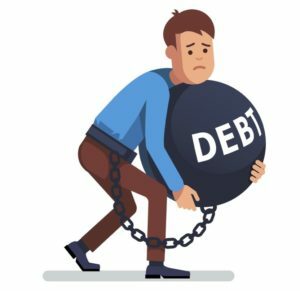 The Small Business Finance Markets Report 2018/19 has recently been released, and this shows that 7 in 10 firms won’t consider borrowing at all, even if that means they must forgo growth. This trend for a decline in demand for finance reflects a cautious business climate where FDs are adopting a ‘wait and see’ approach to expansion plans. So, despite the barriers to traditional lending for SMEs, family businesses and startups, there remains this reluctance to take the leap to explore the opportunities within alternative finance. Multiple sources surmise that, rather than concrete objections, lack of knowledge is the barrier to greater uptake of alternative borrowing. The Tindall Perry report concluded that finance teams must work to plug knowledge gaps in order to ensure businesses are taking advantage of the range of opportunities on offer. While a growing number of FDs are aware of alternative finance options (more than 70%), this doesn’t translate to considering them to be a viable option. Even if you might feel a full asset-based lending package is out of your business’ reach, you could be overlooking assets that all businesses who trade on credit terms have – your invoices. There is a common misconception that invoice financing is only for firms who are struggling, or to resolve short term cash flow issues. We need to dispel these myths. For small to medium businesses, securing business finance from banks should not be your first and only consideration. And a Banks’s refusal to help does not necessarily reflect your potential or your value – it says everything about how banks operate in an uncertain financial climate. A secured or unsecured business loan is a blunt instrument with which to finance a constantly moving SME, they can be expensive, time-consuming to obtain, based on the past not the future, fail to grow with a business’s increasing needs and potentially harmful to longer-term creditworthiness- alternative finance should be considered mainstream defying its definition to become a mainstay of SME funding. Cash flow lending; that’s where we come in. Invoice finance for small to medium business bridges the gap between incurring costs and receiving income from sales, and alternative lenders like Partnership Invoice Finance are paving the way for SMEs and startups to overcome their cashflow hurdles, achieving business growth, despite uncertain markets. As we suggested before, SMEs are relatively optimistic about Brexit and the potential to reach new markets with the playing field becoming levelled between smaller organisations and larger corporations. At Partnership Invoice Finance, we want to work with your business to help you achieve your growth potential. To find out more about our invoice finance services and how we could work together, give us a call.